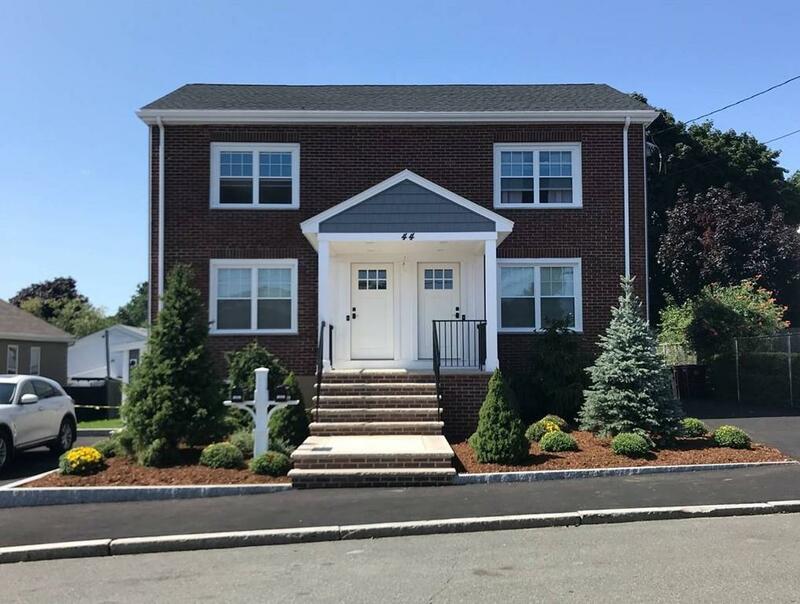 Completely renovated two family home; improvements include everything from new siding, roof, windows, spray foam insulation, plumbing updates, electrical updates, bathrooms, kitchens, hardwood floors, rear deck, repaved driveways, etc. The property is located in a stunning neighborhood minutes away from Market Basket and other retail stores. Tenant will have a private driveway for two vehicles. This unit has an open concept layout with high ceilings and newly installed hardwood floor throughout. The kitchen has recessed lighting, custom cabinets, a kitchen island, granite counter tops and brand new energy star stainless steel appliances. There is a full-size washer and dryer in the unit. The bathroom has tile flooring and a tile shower with a glass-surround shower door. The bedrooms have custom laminate bedroom closets and are both cable ready. All rooms have energy efficient Mitsubishi floor mount air conditioning and heating. This home is completely pet-free and smoke-free. Listing courtesy of Jamie Russo of New Boston Real Estate Services, Llc. Listing provided courtesy of Jamie Russo of New Boston Real Estate Services, Llc.